Earlier in the summer, I was able to check a key activity off of my Boston to-do list: visit the Museum of Fine Arts (MFA). Especially on some of the hottest days around the City, it seemed like a logical activity. Beat the heat and take in some art. Overall, the experience ended up being only so-so. Here’s why. 1. The line on the weekends is insane. I waited outside in the heat for an hour an a half just to get into the actual ticket line. Granted, I probably could have been a jerk and just jumped into the inside line by faking my membership status. However, I don’t approved of that. So I waited. 2. The air conditioning inside the museum was not on full blast. I guess it was just an assumption on my part to think that the MFA would have the air on the coolest setting. It wasn’t hot but it wasn’t cold. Some of that may have had to do with the crowds. I’m sure that part of that was just my previous experience in museums in Texas, where the air has to be on high. 3. The special exhibit was a zoo. 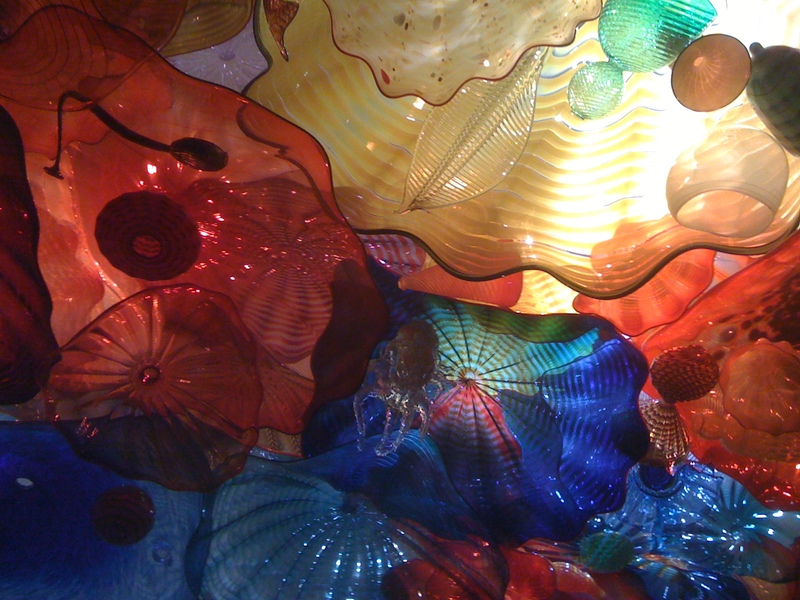 The biggest selling point for a visit to the MFA on the weekend was the special Chihuly exhibit. I had heard great things, and the exhibit was about to end. Now, this particular exhibit was so popular that the guests were given times to enter it, to reduce crowds. Managing the crowds is especially important for an exhibit that is all handblown glass sculptures. Unfortunately, people did not move the through the exhibit as expected – and bottlenecks in the exhibit area were incredibly uncomfortable. I would love to see this exhibit again if it’s at another museum. Maybe I’ll have more time to take it in because what I saw was incredible. Overall, I thought it was an interesting museum and I didn’t get through even half of the exhibits. Although my best advice after this experience is to either get a membership OR visit on a weekday and get there when the museum opens. I’ll be sure to note how my next visit goes…. This entry was posted on Friday, September 23rd, 2011 at 1:57 am	and tagged with activity, Boston, chihuly, MFA, museum of fine arts and posted in Activity. You can follow any responses to this entry through the RSS 2.0 feed. The Chihuly exhibit was amazing, but did bring in the crowds! My office used to be literally across the street from the MFA and it was definitely busiest when this exhibit was in town. 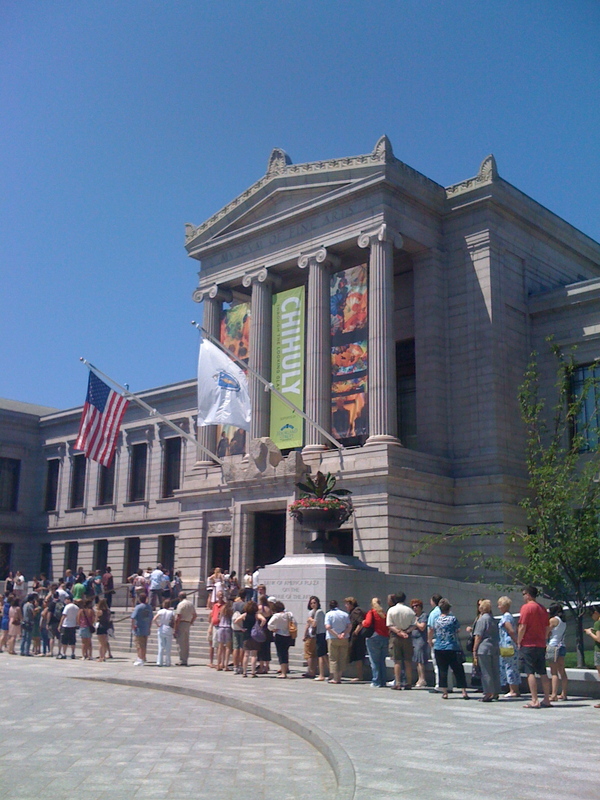 The museum offers free admission on Wednesdays which is sometimes busy, but then at least you’re not paying for it!